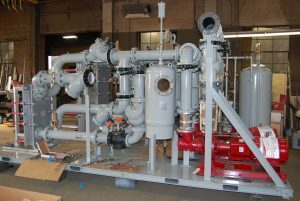 System Design – Hydronic & Steam Equipment Co., Inc.
At Hydronic & Steam Equipment Co., Inc. our Packages By Design group can help you design, build and commission a skid package to meet your specific heating, cooling, plumbing or process system needs. We can also assist with the design of radiant floor and snow melt systems. Boiler and water heater vent calculation and layout. Heating, cooling and plumbing load calculations.